A rapidly growing field, vibrational spectroscopy has found applications in industries including pharmaceutical manufacture, food and drug safety, and process monitoring on production lines. In particular, interest in clinical spectroscopy is rising rapidly as researchers recognize the potential of the vibrational spectroscopic techniques-Infrared (IR) and Raman Spectroscopy-as noninvasive tissue diagnosis tools. However, the details of the characteristic peak frequencies and their relationship to specific functional groups present in the biological tissues have not been fully understood. Vibrational Spectroscopy for Tissue Analysis introduces IR and Raman Spectroscopy to those scientists who are either using these spectroscopic techniques to address clinical problems or planning to use spectroscopy to analyze clinical tissues and understand their chemical composition. 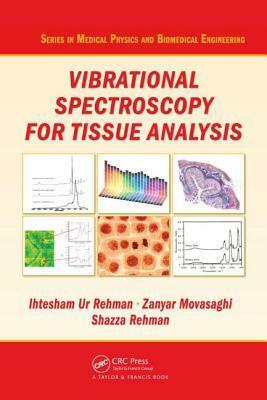 By compiling the interpretations and understandings of the spectral peaks of the biological molecules in one place, this book aids in the understanding of IR and Raman Spectroscopy, and what these techniques can offer both in early diagnosis of the disease and monitoring of the progression of the disease. Despite the tremendous advances in the field of spectroscopy, where new applications are emerging at the pace of development, there are still areas of research that are crying for further exploration. This book bridges the gap between the spectroscopic research and medical applications.